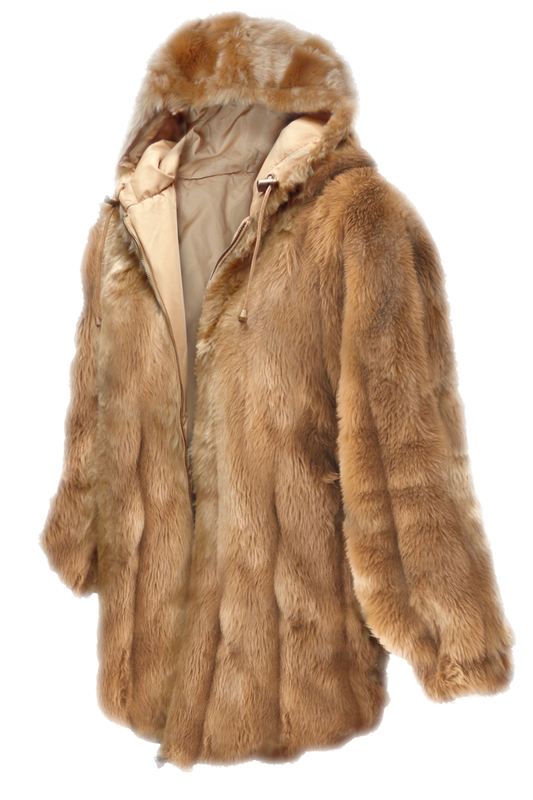 Nice & cozy, this beautiful faux fur jacket will keep you warm all winter long. It has grooved deep pile for a realistic fur look. It features a relaxed silhouette for maximum comfort. For added warmth, jacket has an interior drawstring, elastic cuffs and attached drawstring hood with adjustable grommets. It also has a zipper in the front with side seam pockets. Approximate length is 32" long hitting mid thigh.